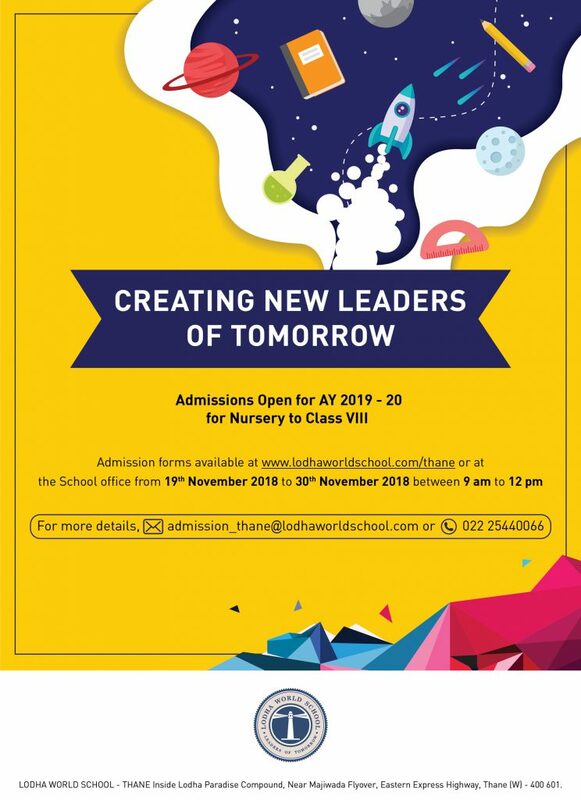 Lodha World School Thane Admission process consists of 4 stages as below for AY 2019-20. The application forms can be downloaded at Lodha World School Thane (Click here) or can be collected at the school admissions office between 9 am to 12.00 noon from 19th November 2018. The completed form along with the medical declaration and undertaking needs to be submitted at the school between 9.00 am to 12.00 noon along with the admission processing fee only on school working days. The school will notify you on nursery school admission in thane with a date of appointment for an orientation with the school personnel. The school will notify you with an allotted date for entrance test at the time of form submission. The list of selected candidates for admission for the Laugh n Learn LWS Montessori and Main school will be put up on the website and the school notice board at the end of the admission process. The parents of the candidates whose name appears in the admission list will be required to confirm their admission by paying the admission fee along with first quarter fee at the Lodha world school.